GISMONDI ON WINE OUR TOP 50 VANCOUVER PLAYHOUSE INTERNATIONAL WINE FESTIVAL PICKS By Anthony Gismondi and Stuart Tobe The perennial question when attending the wine festival is what to taste? 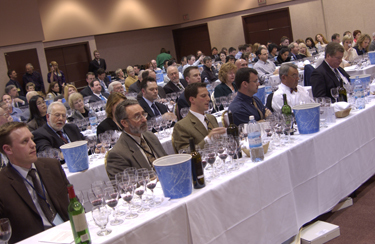 The perennial question when attending the wine festival is what to taste? How to make best use of your time and money? Can you accomplish all you desire to taste in just 3 hours? It's a difficult job but we are going to help you on your way by giving you a list of 50 picks that should be tried and not missed. We have chosen wines from everywhere but grouped them by country and winery.